Central Business Sales is delighted to offer to the market a rare opportunity to lease a class 3 hot food takeaway and large 3 bedroom flat located above. The premises are situated in St. Boswells, in the Scottish Borders - just a short drive from Jedburgh and 45 minutes from Edinburgh. This is an ideal business for a family looking for a lifestyle change. The business has been run for the past 9 years as a Chinese takeaway and in this time, has built up an excellent reputation. The owner is reluctantly having to sell the business as other commitments mean that he is no longer able to run the takeaway. The premises have a class 3 hot food licence so can be used to offer all types of cuisine and there is space to add a seating area if desired. The premises are approximately 140m², with the ground floor approximately 65m². 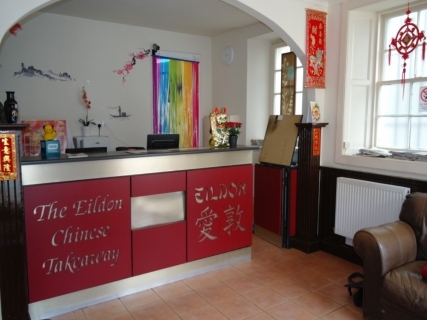 The single front entrance leads into the waiting/serving area for the takeaway. A large fully equipped kitchen lies to the rear with excellent storage. The flat has its own separate entrance and offers 3 large sized double bedrooms, bathroom, family kitchen and dining room. The business and flat are being offered on a leasehold basis, with 9 years left on the current lease. The rent is £220 per week for both the takeaway and the flat. All equipment, fixtures and fittings are included in the sale and 100% rates relief applies under the Small Business Bonus Scheme.